How to watch Hotel Transylvania: Hôtel Transylvanie (2012) on Netflix South Africa! 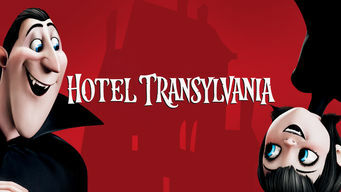 Yes, Hotel Transylvania: Hôtel Transylvanie is now available on South African Netflix. It arrived for online streaming on October 4, 2017. We'll keep checking Netflix South Africa for Hotel Transylvania: Hôtel Transylvanie, and this page will be updated with any changes. Hotel Transylvania owner Dracula pulls double duty as an overprotective dad when an unwelcome suitor shows interest in his teenage daughter. Even monsters and werewolves need R&R. What could go wrong? Hint: He's human and likes Dracula's daughter.